I love that sketch challenges are revealed on Mondays over at The Memory Nest. 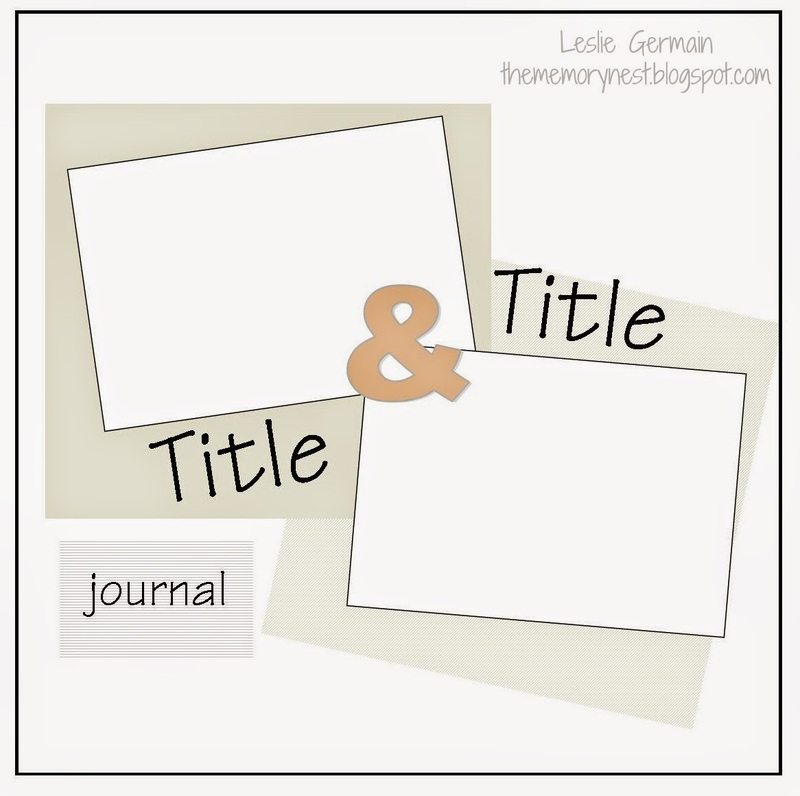 It is so fun to start the week off with some scrapbooking inspiration, wouldn't you agree? I love this latest sketch - very clean and simple (totally up my alley). 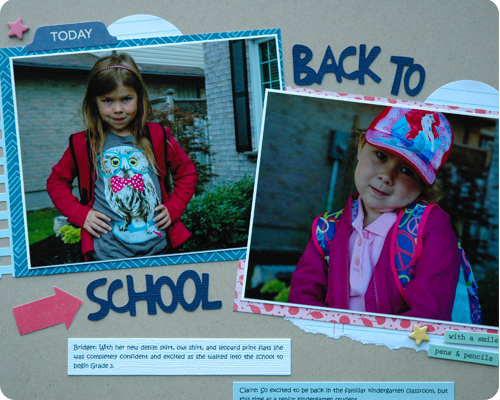 I used pictures of my girls from the first day of school to create this layout. I always struggle with paper choice for 'back to school' layouts. The traditionally themed papers and embellishments are always the wrong colors, never coordinating with the mostly pink clothes that my girls wear. For this layout I used paper from the A Perfect Summer line by Echo Park. 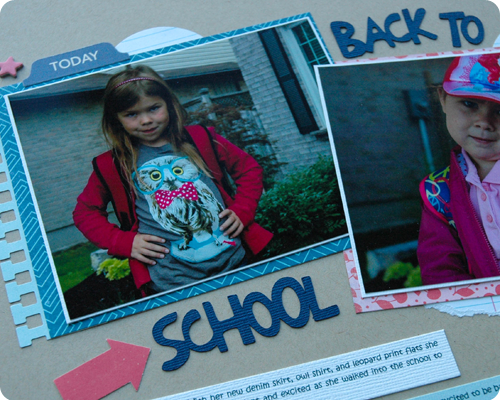 It seems odd to use summer paper for a back to school layout but whatever works best, right? As usual, I used lots of layers. The other ladies of the Design Team have created some absolutely stunning work based on this sketch and you can see that here. Thanks for reading and have a fantastic day. Trying to work out whether they're excited or annoyed about back to school. 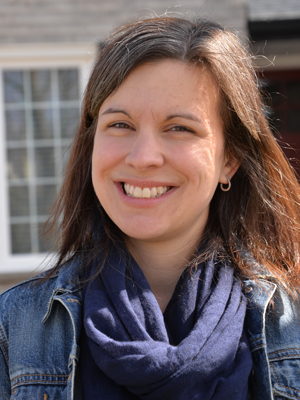 Always love your CAS style Rachel and the journalling strips will be an awesome reminder in years to come. Thanks Jane. And they were excited, they just make the silliest expressions sometimes. Love your CAS style and glad this sketch worked for you!! This layout is fabulous and their expressions are priceless. LOVE the papers you chose. That's the cool thing about scrapping you don't necessarily need to use school papers!!! TU!!! Yes, use whatever paper works with your pictures. Thanks Leslie. I think this is adorable! First off, the photos are precious--just precious expressions! and I love everything you did here! Marci, thank you so much for your sweet comment.